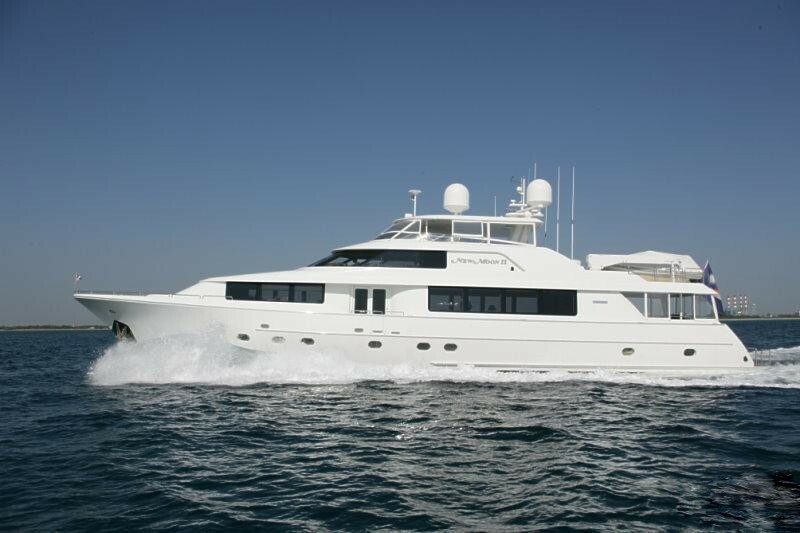 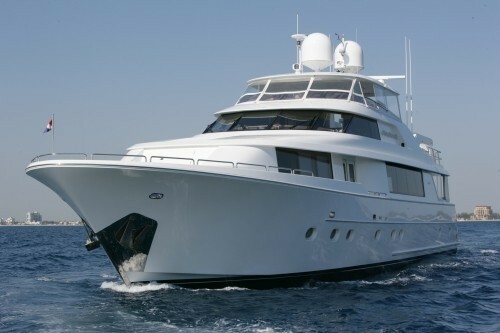 Motor yacht CARBON COPY is a 34.11m (111' 11") Westport built motor yacht launched in 2004. 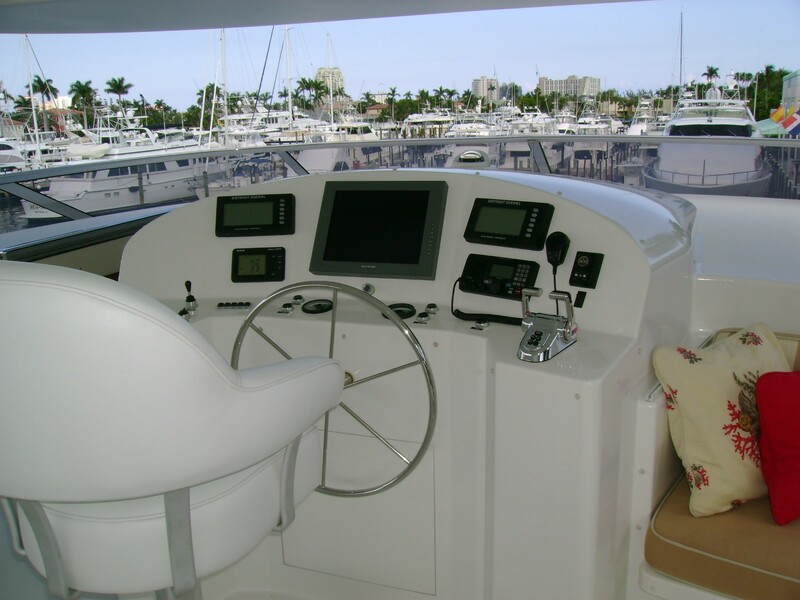 The yacht is comfortable and spacious with a great selection of water sport toys, perfect for groups friends or families. 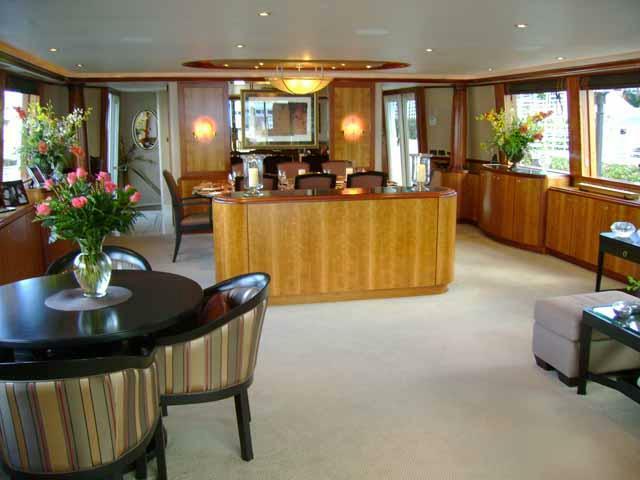 M/Y CARBON COPY (ex New Moon II) has a luxurious salon offering fantastic views from large windows to port and starboard. 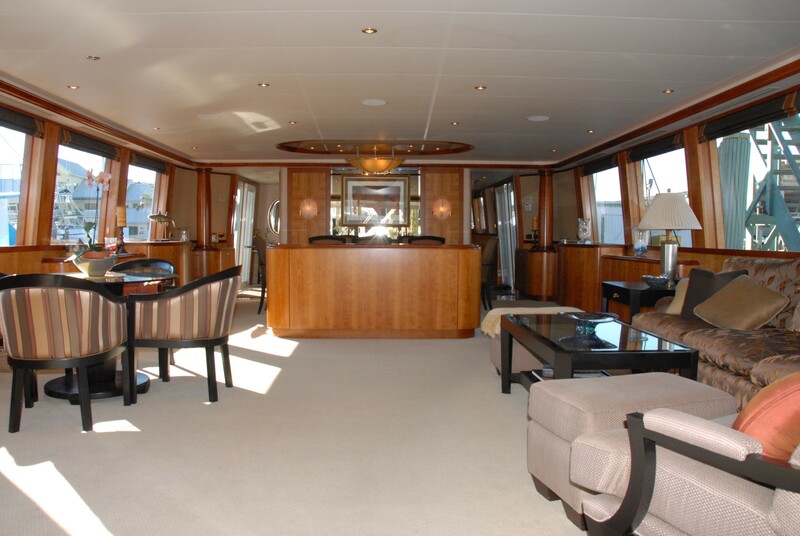 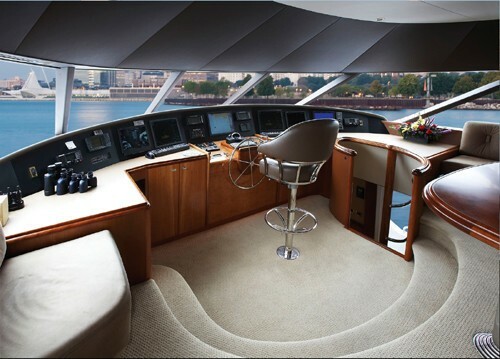 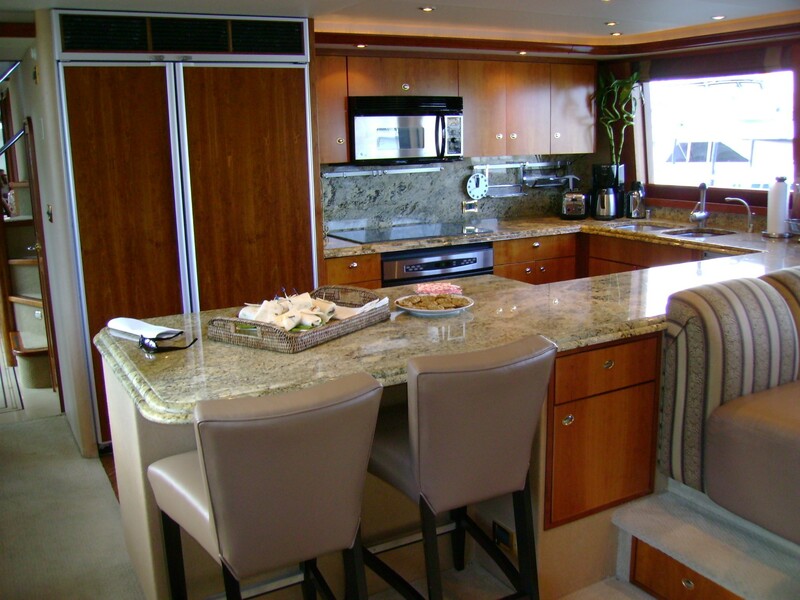 The salon features a large sofa and cocktail table to starboard as well as a game table and bar on the port side. 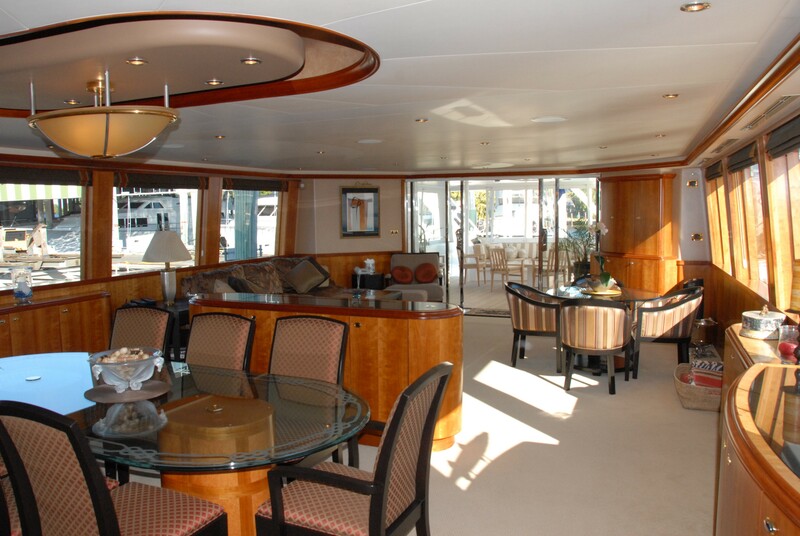 Forward of the salon is the dining area ideal for formal or family dining. 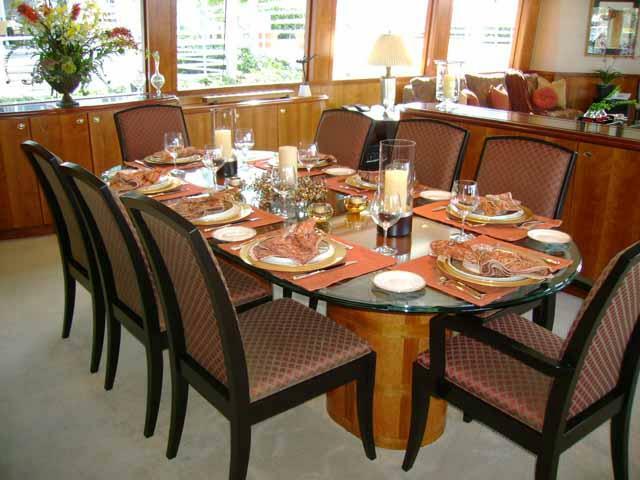 Forward is the country galley, perfect for afternoon snacks or less formal dining. 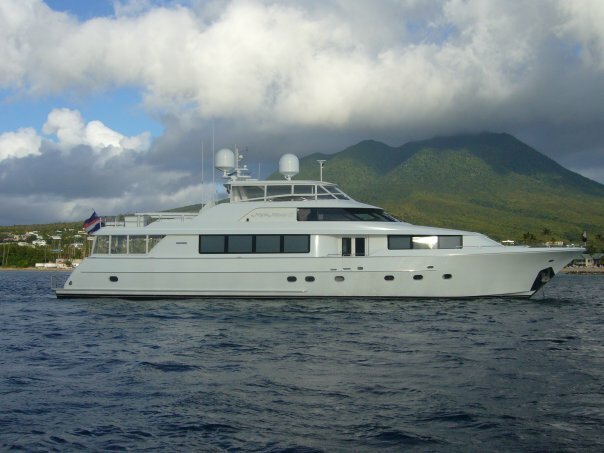 Luxury yacht CARBON COPY is able to accommodate 8 guests in 4 comfortable and well appointed staterooms located below decks accessible from the marble foyer. There is a Master Stateroom located amidships, a VIP Stateroom located forward, a Queen stateroom and a Twin cabin, all with ensuite facilities. 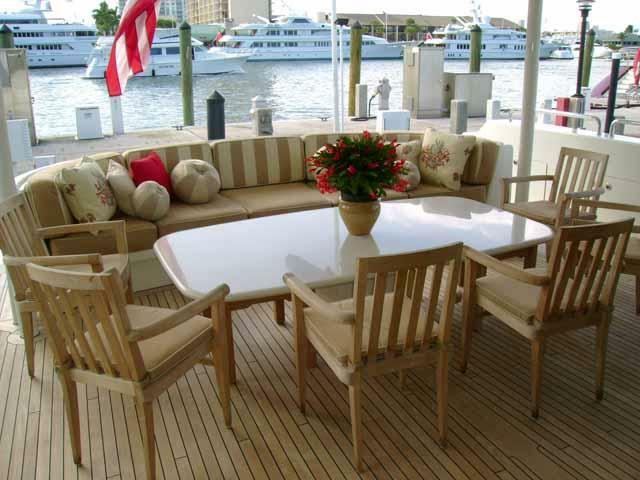 On the upper deck of the yacht you can enjoy a lunch, fresh off the grill in the ample and comfortable dining area or cocktails at the bar. 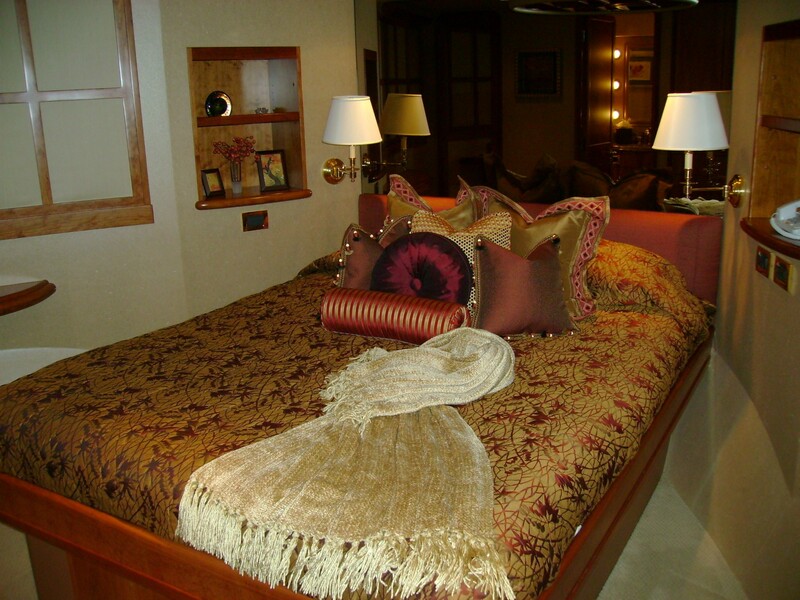 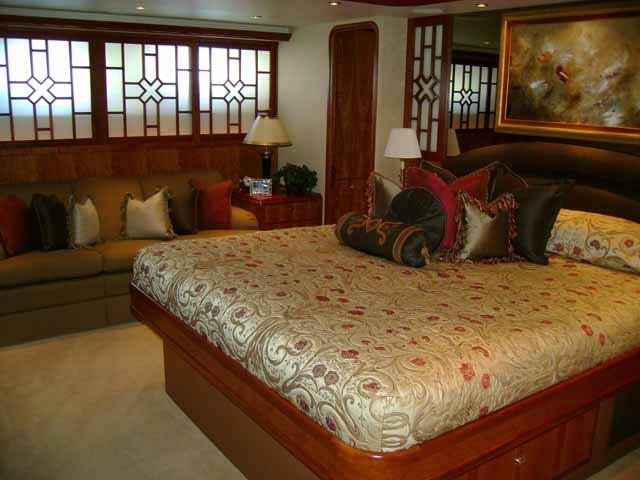 There is also a large sun pad to enjoy while underway and a Spa Pool to enjoy once docked or at anchor. 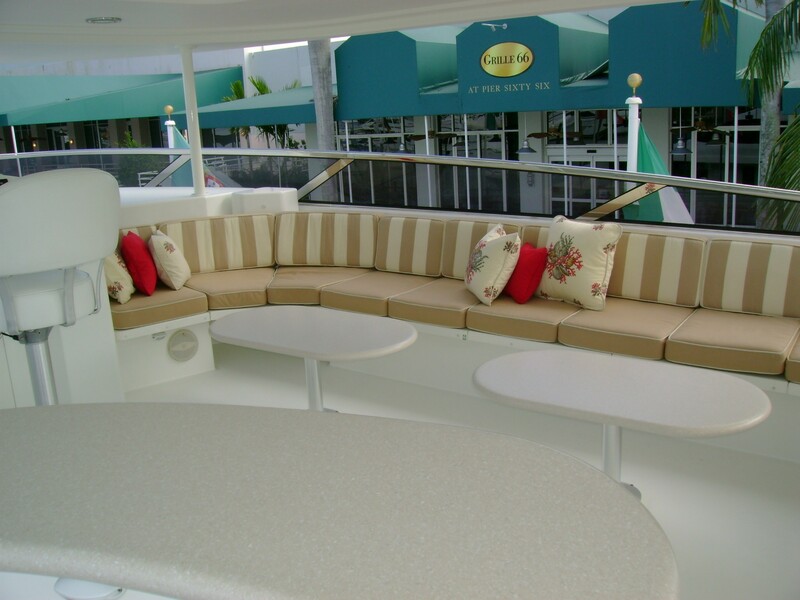 The aft deck is another favourite dining spot and spot to enjoy afternoon cocktails. 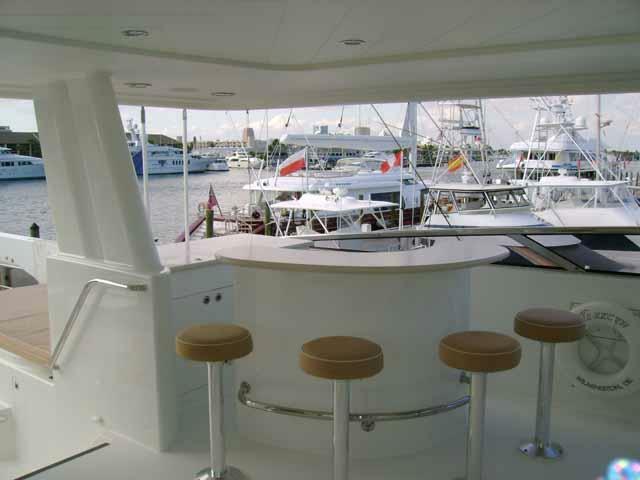 It is also the perfect sport to watch guests swimming or playing off of the back of the boat on the Kawasaki Wave Runner. 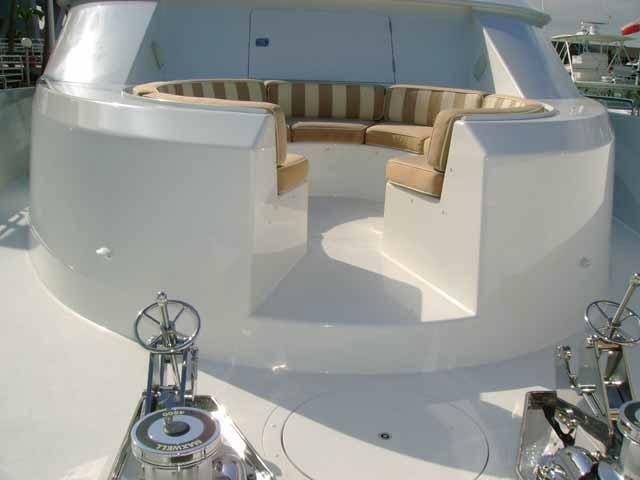 The bow area forward features an additional area to relax while underway on a comfortable circular settee or a V-shaped sun pad. 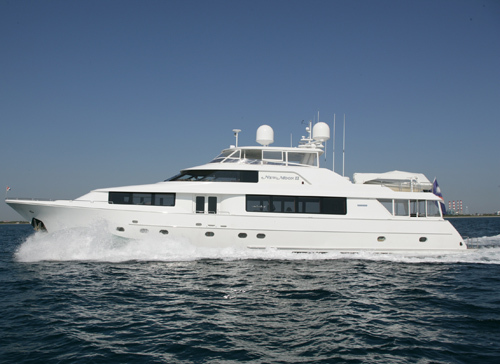 Westport yacht CARBON COPY has a crew of 5 and is based in New England during the summer months and in Florida and the Bahamas during the Winter. 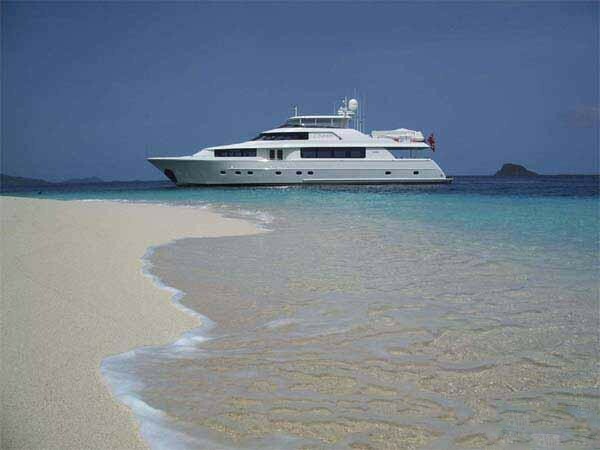 Luxury yacht CARBON COPY is able to accommodate 8 guests in 4 comfortable and well appointed staterooms. 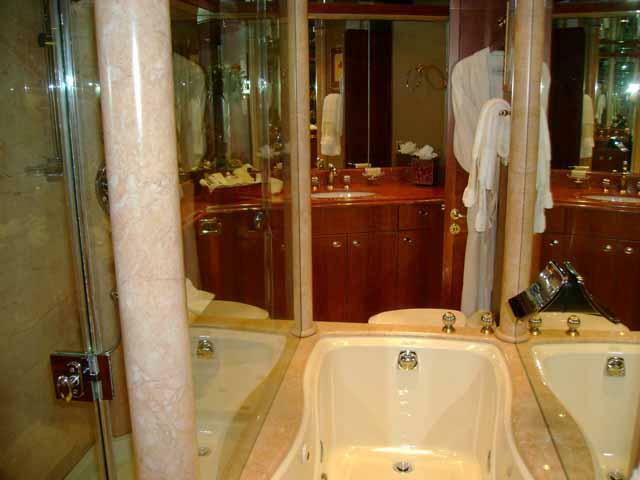 Her Master Stateroom located below decks amidships features a King Size Bed, Walk-in Cedar closet with digital safe, TV, DVD, player and Speaker Craft CRS speakers, ensuite His and Hers bath with Whirlpool tub and separate shower and two vanities with swing out stool. 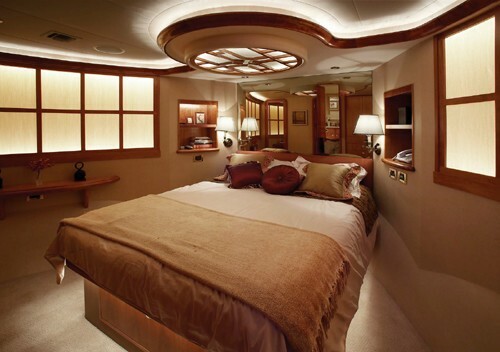 The VIP Stateroom located below decks forward has a Queen Bed with Walk-in Cedar wardrobe, Vanity/Desk TV/DVD ensuite bath with shower. 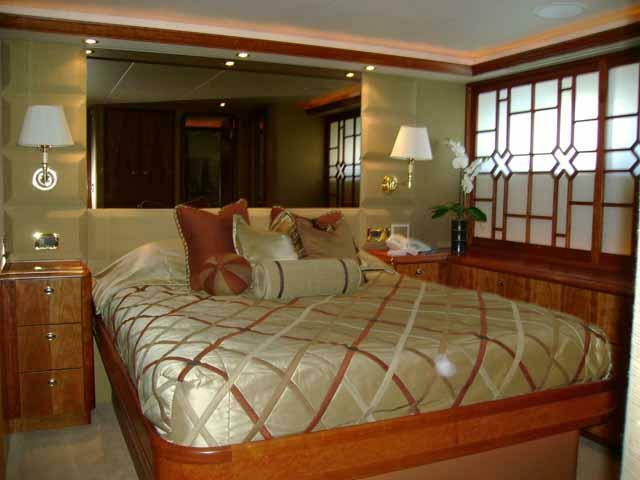 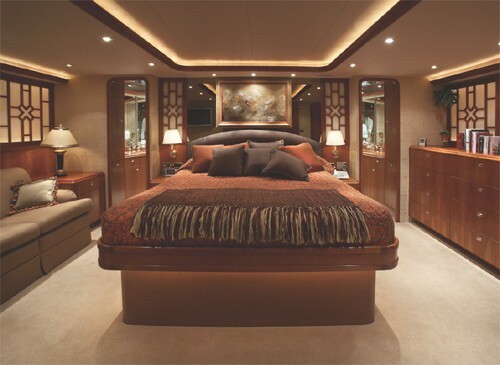 On the port side of the yacht there is a Queen stateroom with cedar lined wardrobe, TV, DVD/ CD player and an ensuite bath with shower. 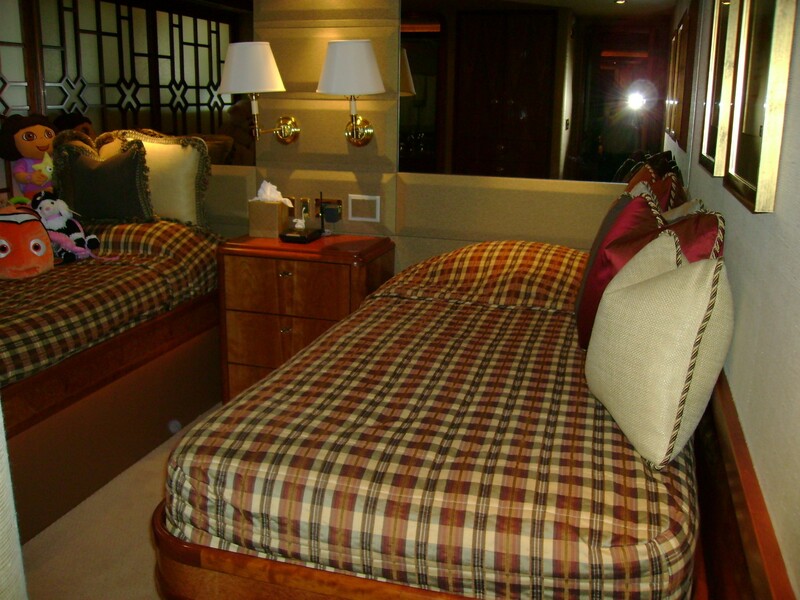 The Twin Guest Stateroom has twin berths that can convert to a double bed if required and also has an ensuite bath with shower. 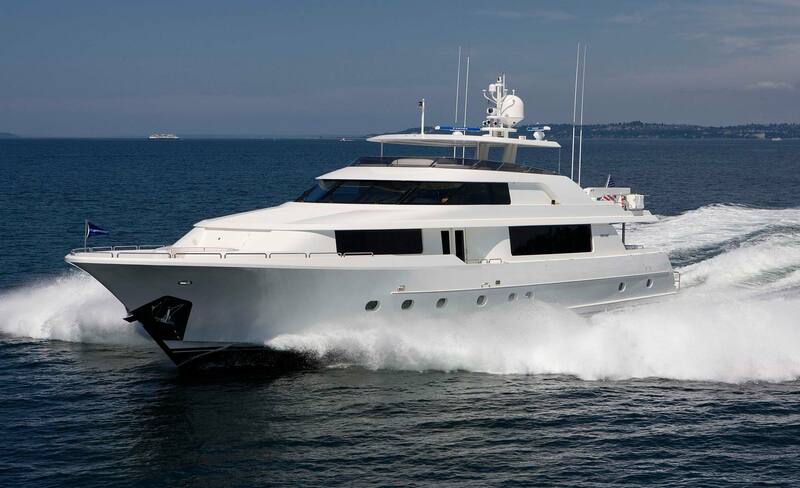 Westport motor yacht CARBON COPY has a great range of amenities and extras for guests to enjoy onboard including a Novurania 18' - 115HP, an Intrepid 32' –with 2 x 300HP Yamaha (Not Available During the Summer), a Waverunner, Adult and child water-skis , and Snorkelling gear. 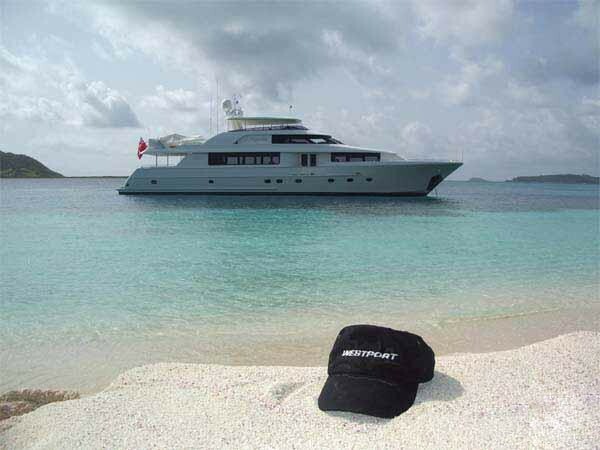 Communications include Full-Time VSAT, WiFi, 2x VOIP Phone Lines, SATCOM. 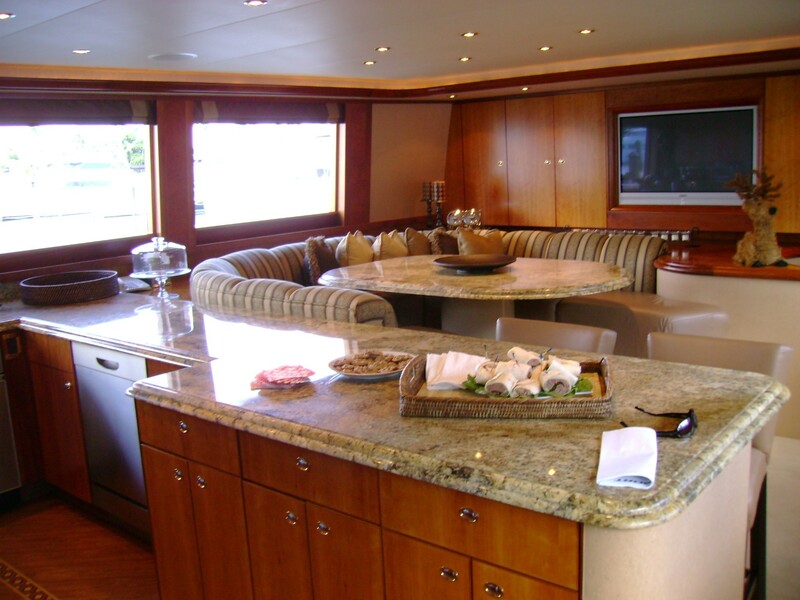 Audio Visual Equipment and Deck Facilities include Satellite television, CD player, DVD player, Stereo system, Spa Pool on deck, BBQ Grill, Swim platform and a Deck shower.